9. The jury get a chance to speak while the Final 3 make their case. 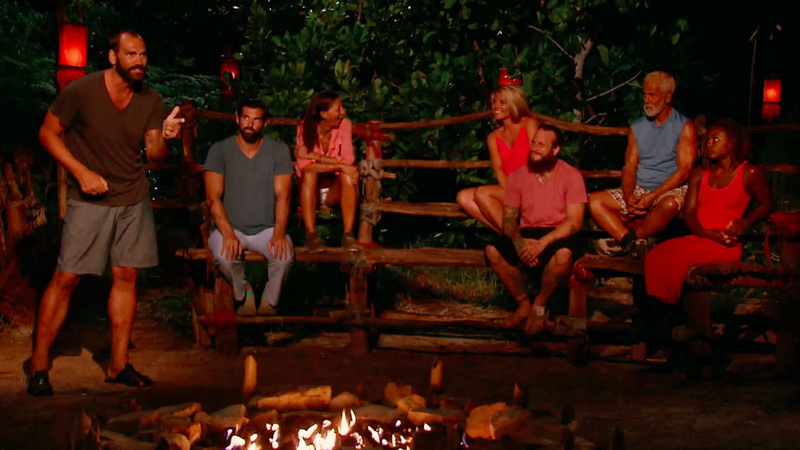 When each jury member stood up to question the Final 3 about their individual Survivor journeys, the tension was palpable. There were a number of highlights—including Debbie jabbing Tai for being disloyal, Julia calling out Michele as the Beauty Tribe's weakest link, and Joe listening to Aubry defend herself for always having her his finger on the pulse of the game—but the biggest confrontation was between Scot and Tai. The former NBA basketball player wanted to know why his ex-ally went against his word and Tai admitted it was because he was intimidated by Scot and Jason's strong bond. Would that be enough explanation to satisfy Scot? We'd have to wait and see how the jury voted. Only then would we find out who—Tai, Aubry, or Michele—would be named this season's Sole Survivor.